Sakura Ridge is a premier bed & breakfast lodge with expansive views from their 99 acre organic farm estate on top of the west hills of the Hood River Valley. Their requirements were to create new company branding and logo, then translate that into a visually appealing website with a photography forward approach. They also needed it to be easy to update via the Wordpress CMS. Webrock delivered and exceeded their expectations. 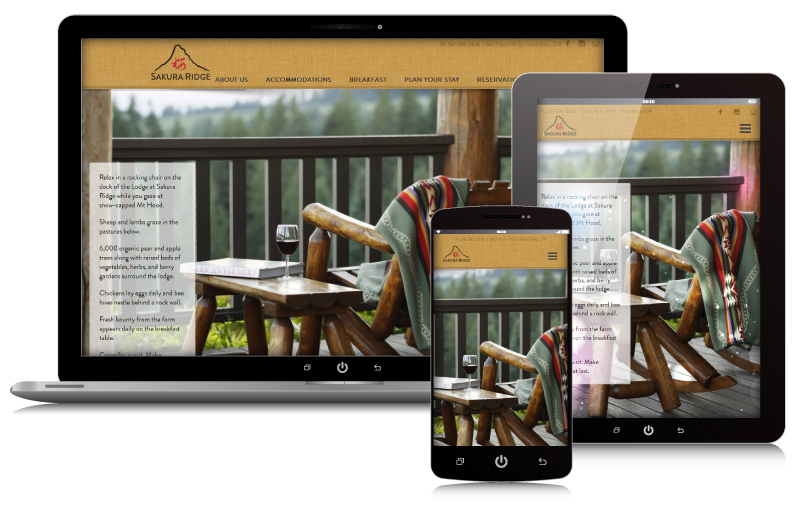 We developed a custom WordPress site and design that dynamically pulls customer testimonials from their Tripadvisor account, integrates seamlessly with their third-party booking system, and allows them to stay in touch and keep their customers aware of what’s going on at the farm with weekly blog posts.